Nickname(s): "Big Sky Country" "The Treasure State"
Area Ranked 4th in the U.S.
i /mɒnˈtænə/ is a state in the Western United States. The western third of Montana contains numerous mountain ranges. Smaller, "island ranges" are found in the central third of the state, for a total of 77 named ranges of the Rocky Mountains. This geographical fact is reflected in the state's name, derived from the Spanish word montaña (mountain). Montana has several nicknames, none official, including: "The Treasure State" and "Big Sky Country", and slogans that include "Land of the Shining Mountains" and more recently, "The Last Best Place". The state ranks fourth in area, but 44th in population, and accordingly has the third-lowest population density in the United States. The economy is primarily based on services, with ranching, wheat farming, oil and coal mining in the east, and lumber, tourism, and hard rock mining in the west. Millions of tourists annually visit Glacier National Park, the Little Bighorn Battlefield National Monument, and three of the five entrances to Yellowstone National Park. With a land area of 147,046 square miles (380,850 square kilometres) Montana is slightly larger than Japan and slightly smaller than Paraguay. It is the fourth largest state in the United States (after Alaska, Texas, and California), the largest landlocked U.S. state, and the 56th largest national state/province subdivision in the world. To the north, Montana shares a 545-mile (877 km) border with three Canadian provinces: British Columbia, Alberta, and Saskatchewan. To the east, the state borders North Dakota and South Dakota. To the south lies Wyoming and to the west and southwest is Idaho. The topography of the state is diverse, and roughly defined by the Continental Divide, which runs on an approximate diagonal line through the state from northwest to south-central, splitting it into two distinct eastern and western regions. Montana is well known for its mountainous western region, most of which is geologically and geographically part of the Northern Rocky Mountains. The Absaroka and Beartooth ranges in the south are technically part of the Central Rocky Mountains. About 60% of the state is prairie, part of the northern Great Plains. Nonetheless, even east of the Continental Divide and the Rocky Mountain Front, there are a number of isolated "island ranges" that dot the prairie landscape. This island range region covers most of the central third of the state. The Bitterroot Mountains—one of the longest continuous ranges in the entire Rocky Mountain chain from Alaska to Mexico—divide the state from Idaho to the west, with the southern third of the range blending into the Continental Divide. Mountain ranges between the Bitterroots and the top of the Continental Divide include the Cabinet Mountains, the Anaconda Range (informally called the "Pintlars"), the Missions, the Garnet Range, Sapphire Mountains, and Flint Creek Range. East of the divide, several parallel ranges march across the southern half of the state, including the Gravelly Range, the Tobacco Roots, the Madison Range, Gallatin Range, Big Belt Mountains, Bridger Mountains, Absaroka Mountains, and the Beartooth Mountains. The Beartooth Plateau is the largest continuous land mass over 10,000 feet (3,000 metres) high in the continental United States. It contains the highest point in the state, Granite Peak, 12,799 feet (3,901 metres) high. Between the mountain ranges are many scenic valleys, rich in agricultural resources and rivers, and possessing multiple opportunities for tourism and recreation. 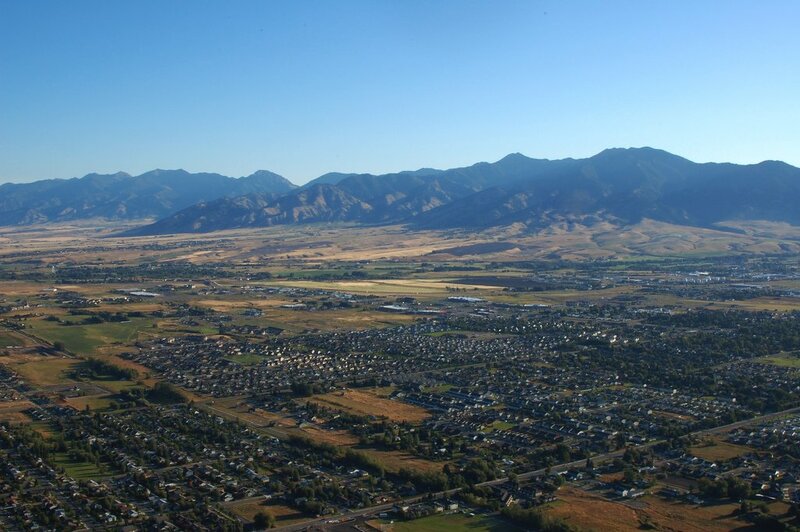 Among the best-known areas are the Big Hole Valley, Bitterroot Valley, Gallatin Valley, Flathead Valley, and Paradise Valley. 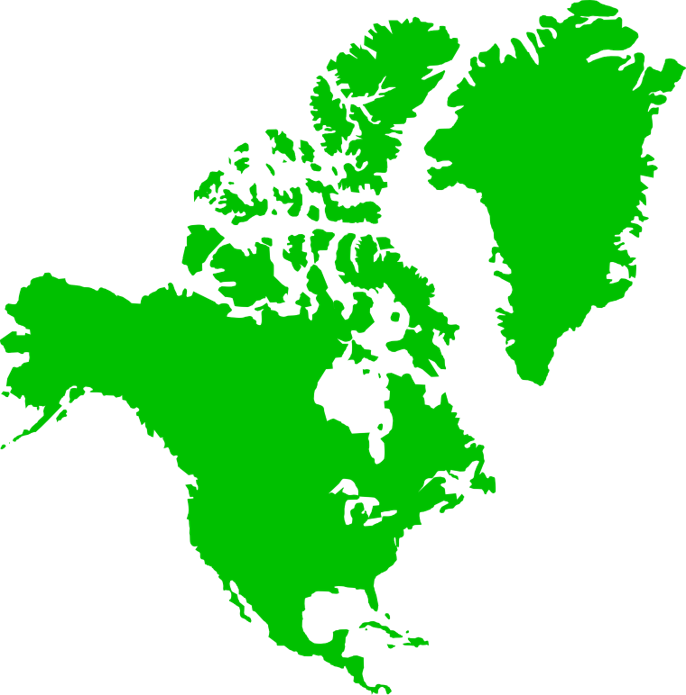 East and north of this transition zone are expansive, sparsely populated Northern Plains, with rolling tableland prairies, "island" mountain ranges, and scenic badlands extending into the Dakotas and Wyoming, as well as Alberta and Saskatchewan, Canada. The isolated island ranges east of the Divide include the Bear Paw Mountains, Castle Mountains, Crazy Mountains, Highwood Mountains, Judith Mountains, Little Belt Mountains, Little Rocky Mountains, Snowy Mountains, Sweet Grass Hills, Bull Mountains, the Pryor Mountains south of Billings, and—in the southeastern corner of the state near Ekalaka—the Long Pines. The area east of the divide in the north-central portion of the state is known for the Missouri Breaks and other significant rock formations. Three stately buttes south of Great Falls are familiar landmarks. The three: Square, Shaw, and Crown buttes, are made of igneous rock, which is dense and has withstood weathering for many years. The underlying surface consists of shale. Many areas around these buttes are covered with clay surface soils, which have been derived from the weathering of the Colorado Formation. Farther east, areas such as Makoshika State Park near Glendive and Medicine Rocks State Park near Ekalaka also highlight some of the most scenic badlands regions in the state. West of the divide, the Clark Fork of the Columbia (not to be confused with the Clarks Fork of the Yellowstone River) rises in the Rocky Mountains near Butte and flows northwest to Missoula, where it is joined by the Blackfoot River and Bitterroot River, and further downstream by the Flathead River, before entering Idaho near Lake Pend Oreille. There it meets the Columbia River, which flows to the Pacific Ocean. The Clark Fork discharges the greatest volume of water of any river exiting the state. The Flathead and Kootenai rivers also drain major portions of the western half of the state. East of the divide, the Missouri River—formed by the confluence of the Jefferson, Madison, and Gallatin rivers—crosses the central part of the state, flows through the Missouri breaks and enters North Dakota. The Yellowstone River rises in Yellowstone Park in Wyoming, flows north to Livingston, Montana, where it then turns east and flows through Billings, continuing across the state until it joins the Missouri River a few miles east of the North Dakota boundary. The Yellowstone River is the longest undammed, free-flowing river in the contiguous United States. Other major Montana tributaries of the Missouri include the Milk, Marias, Tongue, and Musselshell rivers. Montana claims the disputed title of possessing the "world's shortest river," the Roe River, just outside Great Falls, Montana. Through the Missouri, these rivers ultimately join the Mississippi River and flow into the Gulf of Mexico. Montana is home to a diverse array of fauna that includes 15 amphibian, 85 fish, 110 mammal, 17 reptile and 420 bird species. Additionally, there are over 10,000 invertebrate species, including 180 mollusks and 30 crustaceans. Montana contains Glacier National Park, "The Crown of the Continent"; and portions of Yellowstone National Park, including three of the Park's five entrances. Other federally recognized sites include the Little Bighorn National Monument, Bighorn Canyon National Recreation Area, Big Hole National Battlefield, Lewis and Clark Caverns, and the National Bison Range. Montana has ten National Forests and more than 20 National Wildlife Refuges. The Federal government administers 36,000,000 acres (146,000 km2). 275,000 acres (1,113 km2) are administered as state parks and forests. In March 2011, Montana ranked as a bottom-ten "Worst" state (tied with North Dakota and Texas) in the American State Litter Scorecard. Montana suffers from poor effectiveness and quality of its statewide public space cleanliness, due to overall state and related eradication standards and performance indicators. Seven Indian reservations in Montana (borders are not exact). Seven American Indian reservations are located in Montana: Fort Peck Indian Reservation, Fort Belknap Indian Reservation, Northern Cheyenne Indian Reservation, Crow Indian Reservation, Rocky Boy's Indian Reservation, Blackfeet Indian Reservation, and the Flathead Indian Reservation. Montana is a large state with considerable variation in geography, and the climate is, therefore, equally varied. The state spans from 'below' the 45th parallel (the halfway line between the equator and the north pole) to the 49th parallel, and elevations range from under 2,000 feet (610 m) to nearly 13,000 feet (4,000 m) above sea level. The western half is mountainous, interrupted by numerous large valleys. 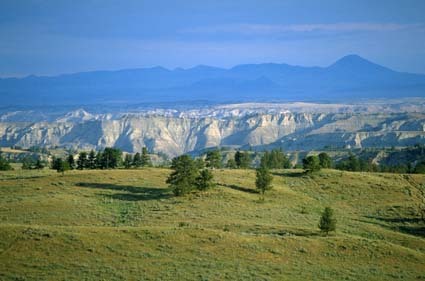 Eastern Montana comprises plains and badlands, broken by hills and isolated mountain ranges, and has a semi-arid, continental climate (Köppen climate classification BSk). The Continental Divide runs north-south through the western mountainous half, and has a great effect on the climate. It restricts the flow of warmer air from the Pacific from moving east, and cooler, drier continental moving west. West of the divide, the climate is described as modified northern Pacific coast climate, with milder winters, cooler summers, less wind, and a longer growing season. In the winter, valley fog and low clouds often form in the valleys west of the divide, but this is rarely seen in the east. Average daytime temperatures vary from 28 °F (−2 °C) in January to 84.5 °F (29.2 °C) in July. The variation in geography leads to great variation in temperature. Hot weather occurs in the eastern plains on occasion, the highest observed being 117 °F (47 °C) at Glendive on July 20, 1893, and Medicine Lake on July 5, 1937. Throughout the state, summer nights are generally cool and pleasant. Temperatures decrease as altitude increases, and hot weather is unknown above 4,000 ft (1,200 m). Snowfall is not unknown in any month of the year in the central part of Montana, but is rare in July and August. 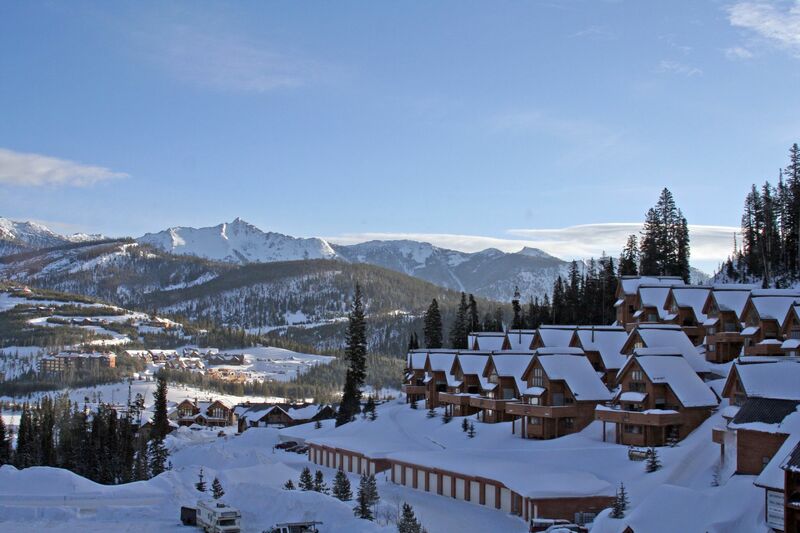 The coldest temperature on record for Montana is also the coldest temperature for the entire continental U.S. On January 20, 1954, −70 °F (−56.7 °C) was recorded at a gold mining camp near Rogers Pass. Temperatures vary greatly on such cold nights, and Helena, 40 miles (64 km) to the southeast had a low of only −36 °F (−37.8 °C). Winter cold spells last a week or so, and are usually the result of cold continental air coming south from Canada. The front is often well defined, causing a large temperature drop in a 24-hour period. Conversely, air flow from the southwest results in "Chinooks". These steady 25–50 mph (or more) winds can suddenly warm parts of Montana, especially areas just to the east of the mountains, where temperatures sometimes rise up to 50°F (28°C) – 60°F (33°C). The land in Montana east of the continental divide was part of the Louisiana Purchase in 1803. Subsequent to the Lewis and Clark Expedition and after the finding of gold and copper (see the Copper Kings) in the area in the late 1850s, Montana became a United States territory (Montana Territory) on May 26, 1864. The Army established a series of posts in the late 1860s, including Fort Shaw, Camp Cooke on the Judith River and Fort C.F. Smith on the Bozeman Trail. Montana was the scene of warfare as the Native Americans struggled to maintain control of their land. The last stand of U.S. Army Lieutenant Colonel George Armstrong Custer was fought near the present-day town of Hardin. Montana was also the location of the final battles of the Nez Perce Wars. A series of major mining discoveries in the western third of the state starting in 1862 found gold, silver, copper lead, coal (and later oil) that attracted tens of thousands of miners to the area. The richest of all gold placer diggings was discovered at Alder Gulch, where the town of Virginia City was established. Other rich placer deposits were found at Last Chance Gulch, where the city of Helena now stands, Confederate Gulch, Silver Bow, Emigrant Gulch, and Cooke City. Gold output from 1862 through 1876 reached $144 million; silver then became even more important. The largest mining operations were in the city of Butte, which had important silver deposits and gigantic copper deposits. The revised Homestead Act of 1909 greatly affected the settlement of Montana. This act expanded the amount of free land from 160 acres (0.6 km2) to 320 acres (1.3 km2) per family. Tens of thousands of inexperienced homesteaders arrived, lured by free land and high wheat prices, but they were unprepared for the climate, which usually had little rainfall and required special dry farming techniques. The droughts of 1917-1919 proved devastating, as many left, and half the banks in the state went bankrupt after providing mortgages that could not be repaid. The Great Depression caused further hardship for farmers and ranchers and miners, but the economy bounced back in the 1940s. The wheat farms in eastern Montana make the state a major producer; the wheat has a relatively high protein content and thus commands premium prices. After 1940 tourism became the state's third largest industry with Yellowstone and Glacier national parks as the largest tourist attractions. Politics in the state has been competitive, with the Democrats usually holding an edge, thanks to the support among unionized miners and railroad workers. Large scale battles revolved around the giant Anaconda Copper company, based in Butte and controlled by Rockefeller interests, until it closed in the 1970s. Until 1959, the company owned five of the state's six largest newspapers. Montana ranks 44th in population; only six states (Alaska, Wyoming, South Dakota, North Dakota, Vermont and Delaware) have fewer people. The 2010 census put Montana's population at 989,415 which is an increase of 87,220 people, or 9.7 percent, since the year 2000. Growth is mainly concentrated in Montana's seven largest counties, with the heaviest percentile growth in Gallatin County, which saw a 32% increase in its population since 2000. The city seeing the largest percentile growth was Kalispell with 40.1%. The city with the largest actual growth was Billings with an increase in population of 14,323 since 2000. The largest ancestry groups in Montana are: German (29.3%), Irish (16.4%), English (13.1%), Norwegian (10%) and "American" (5.9%). According to the 2000 U.S. Census, 94.8 percent of the population aged 5 and older speak English at home. While German ancestry is the largest reported European-American ancestry in Montana as a whole, residents of Scandinavian ancestry are prevalent in some of the farming-dominated northern and eastern prairie regions, parallel to nearby regions of North Dakota and Minnesota. Irish and English are the second and third largest European ancestral groups in the state. There are also several predominantly Native American counties, mainly around each of the seven Indian reservations. The state has a larger Native American population (and percentage) than most US states. The seven reservations are actually made of more than twelve distinct Native American ethnolinguistic groups. The historically mining-oriented communities of western Montana such as Butte have a wider range of ethnic groups, and are particularly rich in European-American ethnicity; Finns, Eastern Europeans and especially Irish settlers left an indelible mark on the city, as well as people originally from English mining regions such as Cornwall, Devon, and Wales. The nearby city of Helena, also founded as a mining camp, had a similar mix in addition to a small Chinatown, and the Chinese in Montana, while a low percentage today, have historically been an important presence. Throughout the nineteenth century, many farmers of German, Scandinavian, Irish, Scots, and English roots settled in Montana. In addition, the Hutterites, originally from Central Europe, settled here, and today Montana is second only to South Dakota in U.S. Hutterite population with several colonies spread across the state. Many of Montana's historic logging communities originally attracted people of Scottish, Scandinavian, Slavic, English and Scots-Irish descent. Montana's Hispanic population is concentrated around the Billings area in south-central Montana, where many of Montana's Mexican-Americans have been in the state for generations. The highest density of African-Americans is located in Great Falls. As of the year 2000, the RCMS reported that the three largest denominational groups in Montana are Catholic, Evangelical Protestant, and Mainline Protestant. The Bureau of Economic Analysis estimates that Montana's total state product in 2003 was $26 billion. Per capita personal income in 2003 was $25,406, 47th in the nation. However, this number is rapidly increasing. Montana is a relative hub of beer microbrewing, ranking third in the nation in number of craft breweries per capita. There are significant industries for lumber and mineral extraction; the state's resources include gold, coal, silver, talc, and vermiculite. Ecotaxes on resource extraction are numerous. A 1974 state severance tax on coal (which varied from 20 to 30 percent) was upheld by the Supreme Court of the United States in Commonwealth Edison Co. v. Montana, 453 U.S. 609 (1981). As of January 2010, the state's unemployment rate is 6.8%. Billings Logan International Airport is the largest and busiest airport within a four state region (Montana, Wyoming, North and South Dakota) both in passenger boardings and air cargo. Montana's other major Airports include Gallatin Field Airport, Missoula International Airport, Great Falls International Airport, Glacier Park International Airport, Helena Regional Airport, Bert Mooney Airport and Yellowstone Airport. Eight smaller communities have airports designated for commercial service under the Essential Air Service program. Montana and South Dakota are the only states to share a land border which is not traversed by a paved road. In March 2011, Montana ranked as a bottom-ten "Worst" state (tied with North Dakota and Texas) in the American State Litter Scorecard. Montana suffers from poor effectiveness and quality of its statewide public space cleanliness, due to overall state and related eradication standards and performance indicators. Also that year, Montana ranked among the five deadliest states for debris/litter–caused vehicle accidents per total number of registered vehicles and population size. Figures derived from  NHTSA show at least 9 persons in Montana were killed each year in motor vehicle collisions with non-fixed objects, including debris, dumped litter, animals and their carcasses. The current Governor is Brian Schweitzer (Democrat) who was sworn in on January 3, 2005. Montana's two U.S. senators are Max Baucus (Democrat) and Jon Tester (Democrat). The state's congressional representative is Denny Rehberg (Republican). Montana in 1916 became the first state to elect a woman to Congress (Jeannette Rankin) (Republican) and was one of the first states to give women voting rights (see suffrage). Apart from the sizable American Indian population, nearly 90% of its residents are of European descent, with a large numbers of German, Irish Catholic, Slavic, British, Italian, and Scandinavian immigrants arriving 1890-1910. About 2000-3000 Chinese miners were in Montana by 1870, and 2500 in 1890. They were strongly opposed by labor unions, and public opinion grew increasingly negative in the 1890s and nearly half left the state by 1900. Historically, Montana is a swing state of cross-ticket voters who tend to fill elected offices with individuals from both parties. Through the mid-20th century, the state had a tradition of "sending the liberals to Washington and the conservatives to Helena." However, beginning in the 1980s, the pattern flipped, with voters more likely to elect conservatives to federal offices. There have also been long-term shifts of party control. During the 1970s, the state was dominated by the Democratic Party, with Democratic governors for a 20-year period, and a Democratic majority of both the national congressional delegation and during many sessions of the state legislature. This pattern shifted, beginning with the 1988 election, when Montana elected a Republican governor and sent a Republican to the U.S. Senate for the first time since the 1940s. This shift continued with the reapportionment of the state's legislative districts that took effect in 1994, when the Republican Party took control of both chambers of the state legislature, consolidating a Republican party dominance that lasted until 2004. In presidential elections, Montana was long classified as a swing state, though in recent years, Montana has been classified as a Republican-leaning state, as the state supported Republican presidential candidates in every election from 1996 to the present. The state last supported a Democrat for president in 1992, when Bill Clinton won a plurality victory. Overall, since 1889 the state has voted for Democratic governors 60 percent of the time and Democratic presidents 40 percent of the time, with these numbers being 40/60 for Republican candidates. In the 2008 presidential election, Montana was considered a swing state and was ultimately won by Republican John McCain, albeit by a narrow margin of two percent. However, at the state level, the pattern of split ticket voting and divided government holds. Democrats currently hold both U.S. Senate seats, as well as four of the five statewide offices (Governor, Attorney General, Secretary of State and State Auditor). The Legislative branch had split party control between the house and senate most years between 2004 and 2010, when the mid-term elections returned both branches to Republican control. The state Senate is, as of 2010, controlled by the Republicans 28 to 22, and the State House of Representatives at 68 to 32. The Missoula Phoenixand the Great Falls Gladiators are semi-pro football teams in the Rocky Mountain Football League (RMFL). In 1904 a group of young Native American women, after playing undefeated during their last season, went to the Louisiana Purchase Exposition held in St. Louis and defeated all challenging teams and were declared to be world champions. For this they received a large silver trophy with the inscription "World's Fair – St. Louis, 1904 – Basket Ball – Won by Fort Shaw Team". The protagonist in Ernest Hemingway's For Whom the Bell Tolls (1940), Robert Jordan, is a native Montanan. The 1943 film adaptation starred Gary Cooper, a native Montanan himself. Hemingway traveled to Montana extensively, and much of his family still lives in the state. In Larry McMurtry's 1985 Pulitzer Prize-winning novel Lonesome Dove, the protagonists drive a herd of cattle from Texas to Montana, with the latter state being described as "a cattleman's paradise." The 1989 TV miniseries of the same name, Lonesome Dove (film), was filmed partly in the state. The 1989 film Always is a romantic drama directed by Steven Spielberg, and starring Richard Dreyfuss, Holly Hunter, John Goodman and Brad Johnson. This is also Audrey Hepburn's final film appearance. The 1990 film Silence of the Lambs with Jodie Foster, Anthony Hopkins, and Scott Glenn, Clarice Starling (Foster) lived in Montana before joining the FBI. The 1994 film The River Wild is a thriller directed by Curtis Hanson and starring Meryl Streep, Kevin Bacon, David Strathairn, John C. Reilly, and Joseph Mazzello. The story involves a family on a whitewater rafting trip who encounter violent criminals. The 1994 film Legends of the Fall which stars Brad Pitt, Anthony Hopkins and Aidan Quinn is set (though was not filmed) in Montana, including Helena . It is about a family's struggle to live through World War I, the Prohibition 1920s and the 1930s. Directed by Edward Zwick. In the 1996 movie Star Trek: First Contact, Montana is the location of the fictitious first contact between humans and an alien race, the Vulcans. Star Trek producer Brannon Braga is originally from Bozeman, Montana. However, no Montana locations were used in the shooting of the film. Other Montana references occasionally dot various Star Trek films and television episodes, including one starship named the "Bozeman". "Montana"is the final track off of Frank Zappa's 1973 album Over-Nite Sensation. In the TV Show The Big Bang Theory Sheldon moves to Bozeman, Montana due to its low criminal rate, after being robbed in Pasadena. He returns immediately after being robbed again at Bozeman's bus station upon arrival. ^ "Montana Code Annotated 2009 - Title 1, chapter 1, Part 5 "State Symbols – Official Designations"". Accessed October 6, 2010. http://data.opi.mt.gov/bills/mca_toc/1_1_5.htm. ^ "Wild Things-Species of Montana". Montana Department of Fish, Wildlife, and Parks. http://fwp.mt.gov/wildthings/. Retrieved 2010-11-30. ^ "Montana". National Park Service. http://www.nps.gov/state/mt/index.htm. Retrieved 2010-10-06. ^ a b c d e "Western Regional Climate Center "Climate of Montana"". Desert Research Institute. Accessed October 6, 2010. http://www.wrcc.dri.edu/narratives/MONTANA.htm. ^ a b "Climate in Montana". Animal Range and Sciences, Extension Service, Montana State University. Accessed October 6, 2010. http://www.animalrangeextension.montana.edu/articles/forage/MIPMH-chptr-1.htm#Temperature. ^ "Montana Facts". Visit MT.com. Accessed October 6, 2010. http://www.visitmt.com/virtualvisitor/faq.htm. ^ Andrew H. Horvitz, et al. A National Temperature Record at Loma, Montana, National Weather Service, 2002. Retrieved 2008-11-02. ^ a b c "UM climate expert says triple-digit Julys will be norm". Billings Gazette. August 27, 2007. http://www.billingsgazette.net/articles/2007/08/27/news/state/24-fry.txt. ^ NOAA "Climate of 2007 – July in Historical Perspective". National Climatic Data Center. August 15, 2007. http://www.ncdc.noaa.gov/oa/climate/research/2007/jul/jul07.html NOAA. ^ "Beetles shaping Montana's forest lands". The Missoulian. July 31, 2005. http://www.missoulian.com/articles/2005/07/31/news/mtregional/news02.tx. ^ a b "Forest Service finds varied beetle activity". The Missoulan. February 14, 2010. http://www.missoulian.com/articles/2007/02/14/news/mtregional/news07.txt. ^ "Forecast: More air pollution, Study predicts global warming will increase fires in Northern Rockies". Billings Gazette. July 29, 2009. http://www.billingsgazette.com/news/state-and-regional/montana/article_d3d32b14-7cc6-11de-b4e3-001cc4c03286.html. ^ a b "State Membership Reports". thearda.com. http://www.thearda.com/mapsReports/reports/state/30_2000.asp. Retrieved 2010-06-15. ^ "Montana Code Annotated-1-1-507. State fish". http://data.opi.mt.gov/bills/mca/1/1/1-1-507.htm. Retrieved 2010-11-29. This page uses content from the English language Wikipedia. The original content was at Montana. The list of authors can be seen in the page history. As with this Familypedia wiki, the content of Wikipedia is available under the Creative Commons License.